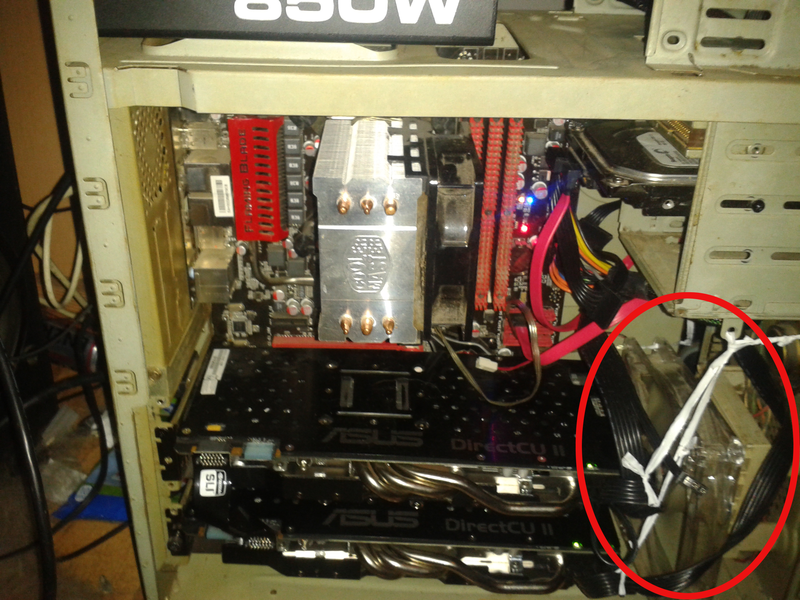 The guy who bought past saterday my GTX 770 was after some consideration also interested in the second one I had. It was only 15 kilometers away from me, so I brought the thing to him at sunday. I asked him to let me know if everything was working properly after installation. He agreed enthusiastically and sent me yesterday a mail with the following text: "Hey Paul, installation and so was super easy and everything works just fine, thanks!" My PC has the annoying problem that it randomly switch the volume of my headphones (output) down to 30% of the original volume. Have checked all the sound settings, including those of my sound card, but the problem persists. So called solutions from internet don't work ether. Very inconvenient! I often forget to check it. Then, when I start a game I have to close it again in order to increase the volume. Does anyone recognize this problem..? Just for your information. This is useful only for NVIDIA users. If you have linked two video cards in SLI, you assume that the two GPUs deliver better results than a single card. Your settings in the NVIDIA control screen (configure SLI, Surround, PhysX) show whether the SLI configuration is activated. Though, sometimes the Control screen show that SLI is enabled while it does not work in practice. This has many causes. But to be sure that youre SLI configuration is properly working there is the SLI Bar, a relatively unknown tool for SLI users. Go to your NVIDIA configuration screen. Go to the upper menu and click under '3D settings' on 'Show SLI Visual Indicator'. Then appears during gaming, at the left of your screen, a vertical green indicator that shows how your GPU's are working together. As seen from the horizontal center, if the bar goes as far up (GPU1) as proportional goes down (GPU2) your SLI configuration works properly. As you have seen Roy and I are working on a new logo for our community. This is not easy I suppose. So many people, so many opinions . Nevertheless, sooner or later we have to have one. In addition to the updated logo from Roy and me (now with a smaller dogtag) I have made four additional designs. At this stage it's not realy about a final logo. The designs (which are seen via the link below) are intended to be sketchy atmosphere images. So, first it comes to 'charisma'. If we get the right 'charisma' then we can make several variants on that, in order to produce the final one.